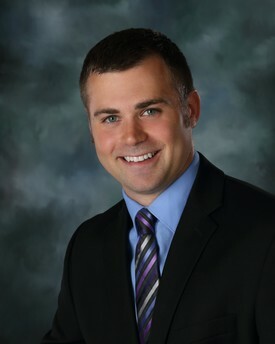 Dr. Luke Hvidston grew up in Fargo, ND where he attended Oak Grove Lutheran High School. He continued his education at Concordia College in Moorhead, MN. While at Concordia Dr. Luke played football and ran track for the Cobbers. Upon completion of his degree Dr. Luke studied at Creighton University School of Dentistry in Omaha, NE, earning his Doctor of Dental Surgery. In his free time Dr. Luke loves spending time with his wife, Christine, and children, Declan and Emme. He also likes to be active outdoors and spend time relaxing at the lake. He and his family are excited about returning to the area and becoming part of the community. Dr. Luke looks forward to meeting you and caring for your dental needs. Dr. Luke is a member of the American Dental Association as well as the Minnesota Dental Association.